China’s annual economic forum opened on Friday in the city of Boao in the wake of the BRICS summit, gathering politicians and business leaders from all over the world to promote Asia’s role in global finance and politics. ­This year, the event will focus on "Inclusive Development." China aims to shift from speedy economic recovery where the rich are getting richer and the poor are getting poorer. "In the past, the forum focused on creating an atmosphere of cooperation between countries," says Long Yongtu, a member of Boao's Council of Advisers. "But this time, we are going a step further. We are looking at ways of ensuring more people within countries enjoy the benefits of economic growth." The key message of the forum is ensuring the quality of development, which should match its speed. Political influence will come from economic success, believe the participants of the Asian equivalent of Davos. On the broader perspective, the countries want to see a multi-polar world both politically and economically, with the power leverages shifting from West to East. This was the main message at the opening of the forum when the participants discussed a move from the US dollar as the global reserve currency. Getting a greater advantage for developing countries through the International Monetary Fund is also high on the agenda. 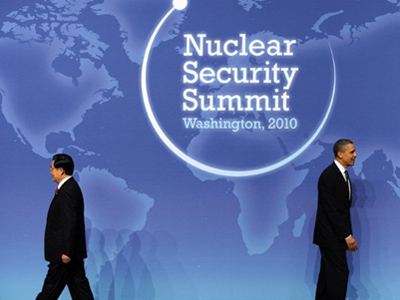 China wants more votes in the World Bank, to push the interests of the growing economies. Russia’s President Dmitry Medvedev sent a clear message about the state of the global financial system at the start of the annual forum. “The world strongly needs the reform of global financial architecture. The BRICS summit which wrapped up on Hainan Island in Sanya confirmed that the member states stand for the creation of the new multi-polar architecture. This architecture should take into account the fair distribution of the global development potential and dynamic development of new centers of economic and political influence,” said Medvedev. 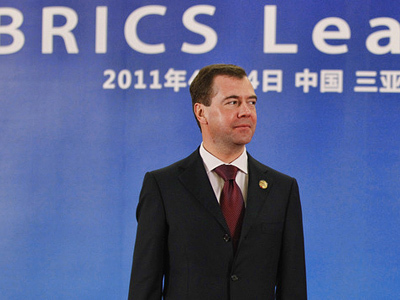 Watch President Medvedev’s full speech at the opening of China’s annual economic forum in Boao. The two-day forum will also cover Japan’s crisis, which was provoked by a massive, devastating earthquake and tsunami that hit the country in March and triggered a nuclear safety threat. The thinking at the forum is that a mechanism to deal with such disasters, which have caught many countries off guard, should be worked out. 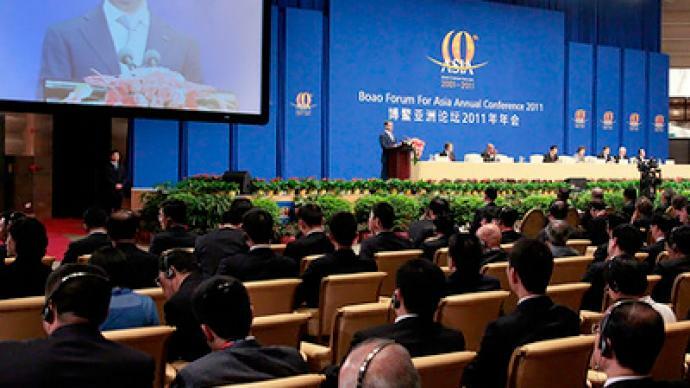 The Boao Forum for Asia Annual Conference will run to April 16. 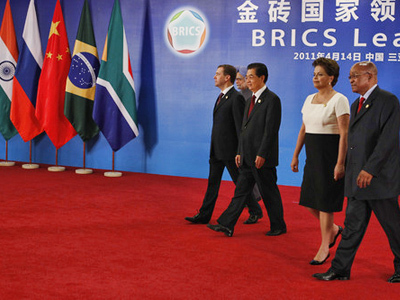 The heads of states and government leaders who attended the opening ceremony included China’s President Hu Jintao, Russian President Dmitry Medvedev, Brazilian President Dilma Rousseff, South African President Jacob Zuma, South Korean Prime Minister Kim Hwang-sik, Spanish Prime Minister Jose Luis Rodriguez Zapatero, Ukrainian Prime Minister Nikolay Azarov and New Zealand’s Deputy Prime Minister Bill English. It is the tenth time that Asia's version of the World Economic Forum has been held.